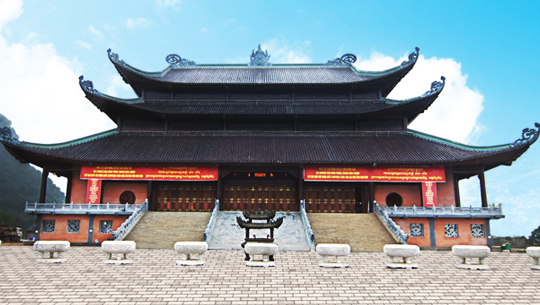 This tour will take you to the spectacular Bai Dinh Pagoda and the UNESCO World Heritage Site of Trang An near the city of Ninh Binh. 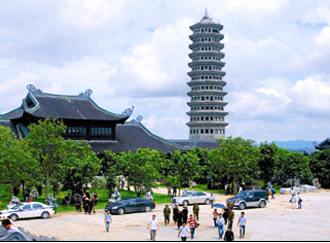 Bai Dinh Pagoda is the largest pagoda complex in Vietnam. 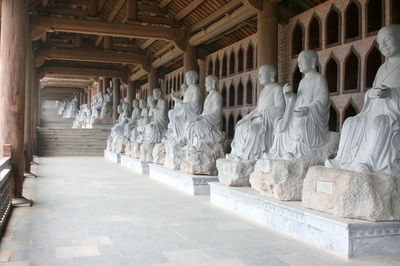 It includes more than 6,000 statues of the Buddha and over 500 statues of important Buddhist monks, spread out through several walkways and stunning temples. 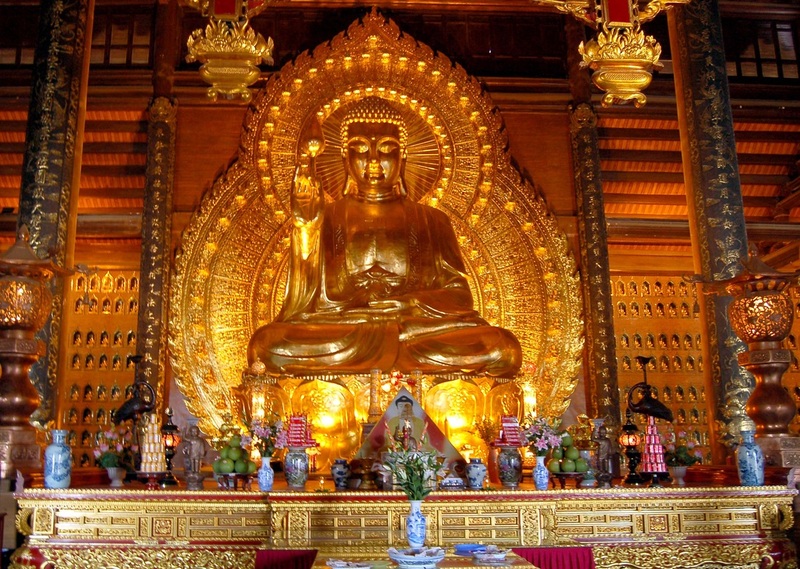 You’ll have the opportunity to see the largest bronze statue of Buddha in Vietnam – 10 meters high and weighing more than 100 tons. The Trang An Scenic Landscape Complex is a stunningly beautiful ecological area located just a short drive from Bai Dinh Pagoda. UNESCO has described Trang An as “a spectacular landscape of limestone karst peaks permeated with valleys, some of which are submerged, and surrounded by steep, almost vertical cliffs.” Here, you’ll take a rowboat along the calm river, passing by precipitous limestone mountains (watch for mountain goats, birds, miniature ducks, horses and other wildlife along the way) and rice paddies. Soon, the woman rowing your sampan will carefully steer you through the first of eight caves that you’ll glide through on this two-hour adventure. This tour is “off-the-beaten-path,” yet offers some of the most breath-taking scenery and interesting sights in Vietnam. 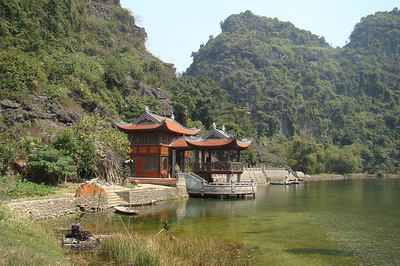 It’s the perfect day-trip to escape the chaotic hustle and bustle of Hanoi. 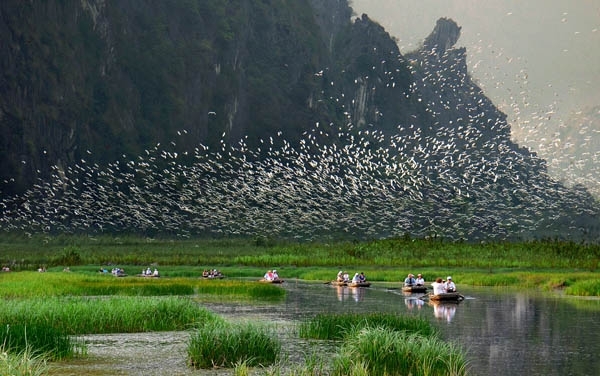 8:00 to 8:30 AM: Pick up from Hanoi Family Homestay in our comfortable, air-conditioned bus and start the 100-kilometer journey through the verdant landscape of the countryside, taking a short-break en route. 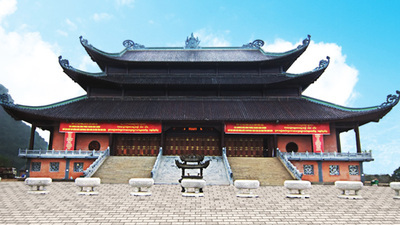 11:00 AM: We arrive at Bai Dinh Pagoda. Take an electric car to the temple entrance, then walk past more than 500 La Han statues and 6,000 bronze Buddha statues until we arrive at the main temple. See the largest bronze Buddha statue in Vietnam – 10 meters high and 100 tons in weight. 1:00 PM: Enjoy a hearty Vietnamese buffet lunch in a local restaurant. 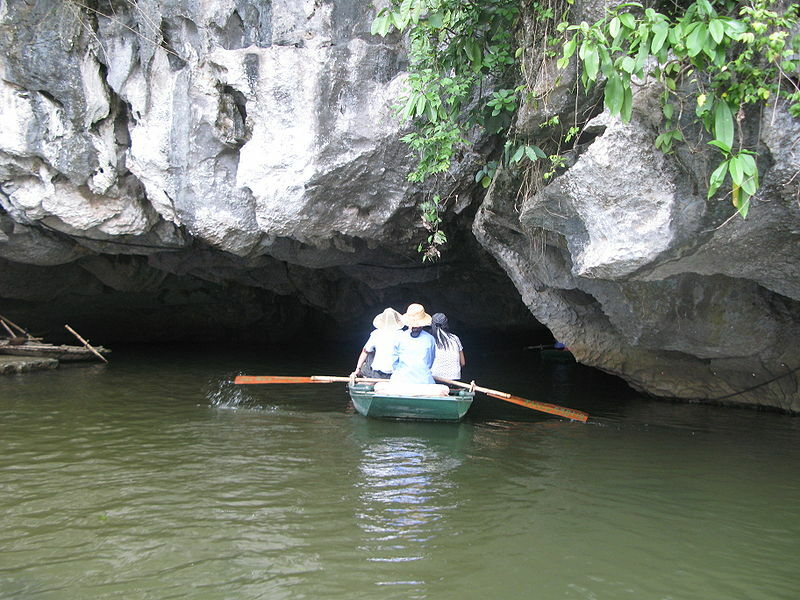 2:00 PM: After a short drive, you will arrive at Trang An, designated in 2014 as a UNESCO World Heritage Site. Here, you will board a four-passenger rowboat, where you will travel along the peaceful river, viewing steep mountains and local wildlife. You may have the opportunity to view wild mountain goats along the way. 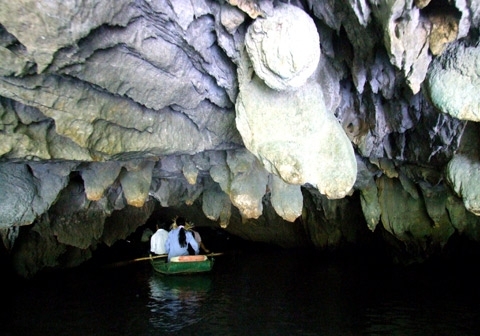 As you relax in the rowboat, you will glide through eight caves, the longest being 380 meters. You will continue to explore the remote wilderness as you make your slow return to the dock. 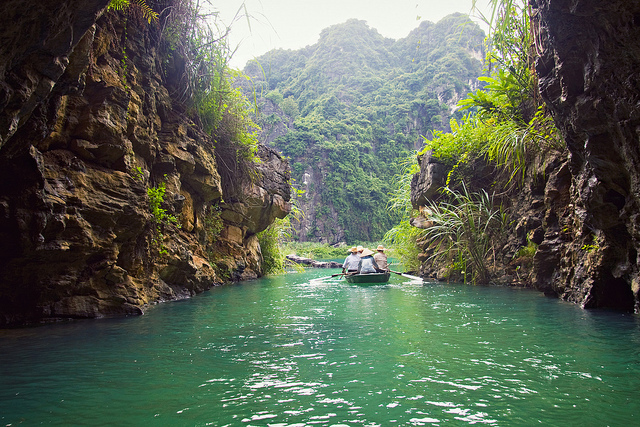 You’ll discover why Trang An is called the Halong-on-Land. 16:15 PM: We'll take a leisurely bicycling trip along rural roads, canals and through small villages set among the maze of spectacular limestone mountains. 17:30 PM: It is now time to board the bus for the return trip to Hanoi. You should be back at Hanoi Family Homestay around 20:00 PM. - Two bottles of water on the bus and water after cycling.